Synovial tissue is obtained using an ultra-sound guided needle biopsy or arthroscopic approach (forceps). Excess synovial fluid is obtained by needle aspiration. Synovial cellular phenotypes (B/T cells, plasma cells, macrophage cells and FDC) and lymphoid organisation are determined by immunohistochemistry (IHC) and digital image analysis. 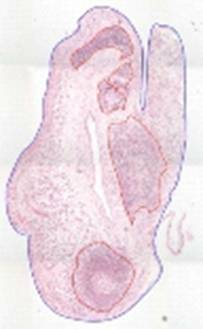 Biopsies are classified according to the aggregational tendency and typical features of secondary lymphoid organs. Blood samples are also routinely obtained as part of complete study set.